Who would be most likely to restore public trust in the Fed: the smart guy from the “old boys club” or an experienced woman who is ready to make history? Washington insiders are spreading an alarming news alert. Barack Obama, I am told, is on the brink of making a terrible mistake by appointing Lawrence Summers as the new chairman of the Federal Reserve. That sounds improbable, since Summers is a toxic retread from the old boys’ network and a nettlesome egotist who offended just about everyone during his previous tours in government. More to the point, Summers was a central player in the grave governing errors that led to the financial collapse and a ruined economy. Surely not, I thought, when I heard the gossip. But my source heard it from the White House. Obama’s senior economic advisers—still dominated by Clintonistas and aging acolytes of Robert Rubin—are pushing the president to choose Summers as the successor to Ben Bernanke, whose term ends in January. And they are urging Obama to make the announcement right now, before the opposition can get organized. To thwart this ploy, Democratic senators and rank-and-file constituents need to sound the alarm promptly and promise, loud and clear, to vote against Summers if Obama once again accepts the choice of the Clinton-Rubin crowd. The former Harvard president was himself a Wall Street player between his government positions. He was a soft-on-banks adviser to Obama during the president’s first term. Choosing Summers now would be another great gift to the mega-banks. But it would be a very tough vote for Democrats who claim the mantle of reform. There are many reasons to oppose Summers as Fed chair, but the strongest objection is that Obama would be rewarding the same guys who got things disastrously wrong for the country—the Clinton-Rubin policy makers who danced to Wall Street’s tune of financial deregulation and collaborated with the Greenspan Fed and Wall Street to gut prudential regulation like the Glass-Steagall Act. Those actions set the stage for the crisis that devastated middle-class home owners and working people generally. Summers was an over-confident cheerleader posing as superior intellect. People called him “the smartest man in the room,” and Summers definitely believed it. 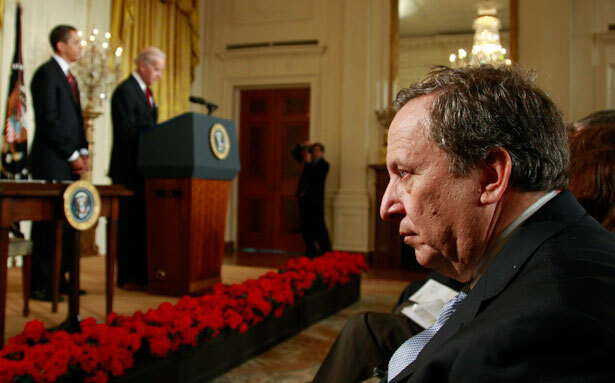 As Treasury secretary during Bill Clinton’s second term, Summers personally did the knife work that cut up Brooksley Born, the brave regulator earnestly trying to impose meaningful limits on the explosive derivatives market. He still owes Born—and the country—an apology. Summers got bounced as president of Harvard for his derogatory remarks about women as scientists. He dissed black professors as inadequate scholars. Personality defects aside, the Democratic party has a huge stake in this decision—whether the money-friendly “New Democrats” who have controlled the party since Bill Clinton will continue to dominate the party’s agenda and smother any attempts to embrace true reform. When Summers came back to Washington in 2009 as Obama’s chief economic adviser, he pushed aside rival views and once again underestimated the nature of the crisis or how to deal with it. When other Democrats called for much stronger stimulus measures, Summers was a voice for doing less, and he accepted disappointing results as the best that government could do. Obama, alas, adhered to that advice. Summers has been trying to rewrite his reputation as he campaigns openly this year for the Federal Reserve appointment. The Washington Post offered him a prime pulpit for a series of op-ed columns in which he makes himself sound like a bleeding-heart liberal. Don’t be misled. If opponents dig into his old speeches and over-confident pronouncements, they will find rich material to make the case for rejecting him. The question is not about left or right policy decisions. The question is incompetence. The best reason to turn Summers out to pasture is that Obama has a far better choice available—a more experienced central banker and moderately liberal economist named Janet Yellen. She is vice chair of the Federal Reserve Board in Washington and has been a close ally of Bernanke and a strong voice for focusing on jobs and other threatening weaknesses in the broad economy. She served for some years as president of the San Francisco Federal Reserve Bank and before that a term as governor before Obama appointed her as vice chair. It doesn’t hurt that Yellen would be the first woman ever to serve as Federal Reserve chair. It’s about time. Next year is the 100th anniversary of the central bank. The stolid masculinity of this cloistered institution has failed the country spectacularly and needs to be pried open for public policy debates. The most chilling failure was that its conservative leaders—Alan Greenspan and Ben Bernanke—did not see the crisis that was coming (evidently neither did Yellen). That institution’s reputation has been gravely diminished by the bank bailouts and other adverse events. The public was shocked and remains deeply skeptical. People don’t trust the Federal Reserve, and for good reason. What people could see with their own eyes was that the Fed expended trillions to rescue the mega-banks from the troubled waters while people were left to drown. The illegitimate banker-government relationship has exposed an urgent need for fundamental reforms. Obama might ask himself which candidate would be most likely to restore public trust in the Fed and see the need for substantial reforms. The smart guy from the old boys’ club or an experienced woman who is ready to make history?